The integration of a communications transceivers/scanners and a PC pioneered by WINScanner and it has brought about an increasing number of functions and features that have never been available on many radio transceivers or radio scanners before. The WINScannersoftware contains numerous advanced features, many tuning and scanning options and large memories capacity’s. UPDATE 2012 JULY 15 – Gave the Tedelex TE7000 CB Base to my brother who is a full call VK3 Ham operator to use on 10Meters after converting the 02A PLL. I was thinking of using ThumbWheels on the PLL but decided that way is a pain even if you do some code conversion to freq readout, so thought about using a computer to drive it. 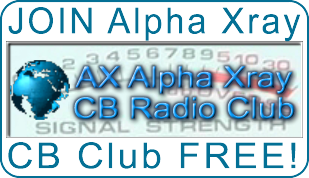 This entry was posted in ALL Articles, CB Radio Repairs, CB Radio's, CB Software Control by Greg 43AX005. Bookmark the permalink. It is actually a great and useful piece of information. I’m satisfied that you shared this useful information with us. Please stay us informed like this. Thank you for sharing. I am searching the Program Scanner IC240.exe. Hi Hans, I did copy some stuff from there a while back. Will have a look back through it for you soon… If I find it I will post it up.